I’ve spent much of the past week catching up on my Vietnam War history. While the military history of that conflict is interesting, most of my reading has been focused on the domestic crises that Vietnam incited. Surprisingly, I’ve had a fair amount of trouble finding sources that deal squarely with the impact of the war on America’s institutions of higher learning. While WWI and WWII have a plethora of literature doing exactly that, Vietnam’s effects on educational institutions seem to have largely escaped the notice of scholars. Instead, most scholars have gravitated towards documenting the social movements the war focused and unleashed – the New Left, draft resisters, and anti-war protesters. And while those are fascinating topics in and of themselves, they often only tangentially touch on Bethel’s experience of the war. Closer then, are the small body of monographs which canvas the history of Christian higher education in the United States. Some of the better ones include William Ringenberg’s The Christian College and Making Higher Education Christian, co-edited by Joel Carpenter and Kenneth Shipps. While I’ll likely say more about those works in the future, I want to focus now on a book which falls somewhere between the two literatures. David Swartz’s Moral Minority: The Evangelical Left in an Age of Conservatism, as the subtitle hints, traces the emergence of an evangelical left during the 1960s in the context of civil rights and the Vietnam War. And although the book continues the evangelical left’s narrative through the end of the Reagan presidency, it’s one of Swartz’s early chapters that has the most bearing on our project. What special wisdom do clergymen have on the military and international intricacies of the United States government’s involvement in Viet Nam? None. [Mainline Christians might] speak piously about our difficulties in Viet Nam, but a vocal and uninformed piety is worse than silence. While I can only speak impressionistically at this point in the project, it seems that most in the Baptist General Conference and at Bethel would have agreed with Henry. But as David Swartz details, not all evangelicals supported the war, nor did they all think that making “establishments seem small and irrelevant” was a “waste.” For before there was an evangelical right, there was an evangelical left. 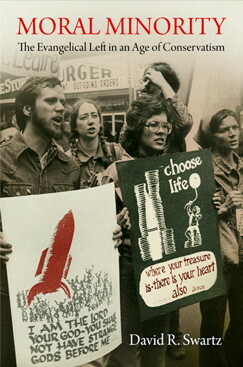 Indeed, that movement would cultivate many of the techniques later used by the New Right – picketing, leafleting, and direct confrontation – in their struggle against the Vietnam War. Swartz grounds his narrative of the evangelical left in the life of Jim Wallis, the founder of the organization now known as Sojourners: Although Wallis had grown up in a tight-knit Plymouth Brethren church and had had an conversion experience at an early age, by the time he enrolled at Michigan State University in 1967, Wallis had “rebelled against the suburban pieties of his youth.” (49). Shocked by the racism and police brutality of inner-city Detroit (Wallis had begun exploring the city as a teen), Wallis became active in MSU’s chapter of Students for a Democratic Society. By his senior year, Wallis had risen to the top of his chapter’s leadership. AP report of Lansing protests, May 10, 1970. That spring, Weathermen and SDS students attacked the Lansing City Hall, smashing windows and engaging police in a violent scrum. The violence of the incident shattered Wallis’ faith in the movement which he later derided as “grounded only in ‘humanistic platitudes'” (50). The incident would inspire Wallis to reengage his childhood faith. There, he found inspiration in the moral teachings of Jesus and enrolled at Trinity Evangelical Divinity School. With unrelenting appeals to Scripture, the young firebrand managed to persuade many of his classmates [often through] Wallis’ emphasis on peacemaking, prayer, and radical generosity as preached by Jesus in the Sermon on the Mount. Wallis ripped out all the pages in the Bible that dealt with money and poverty, leaving only a tattered shell remaining, to make his point that social justice mattered. While others in the New Left made their case using sociological arguments, Wallis ‘made it theological’ and insisted on scriptural justification for arguments (52). Wallis’ commitment to using scripture-centred argumentation proved remarkably effective. This was an idiom his politically conservative classmates could understand and accept. Indeed, in spite of his politics, Wallis remained fundamentally wedded to a theologically conservative ethic. Wallis and several friends from Trinity would go on to found “The Post American,” a quarterly journal dealing with issues of Christian faith and social justice. 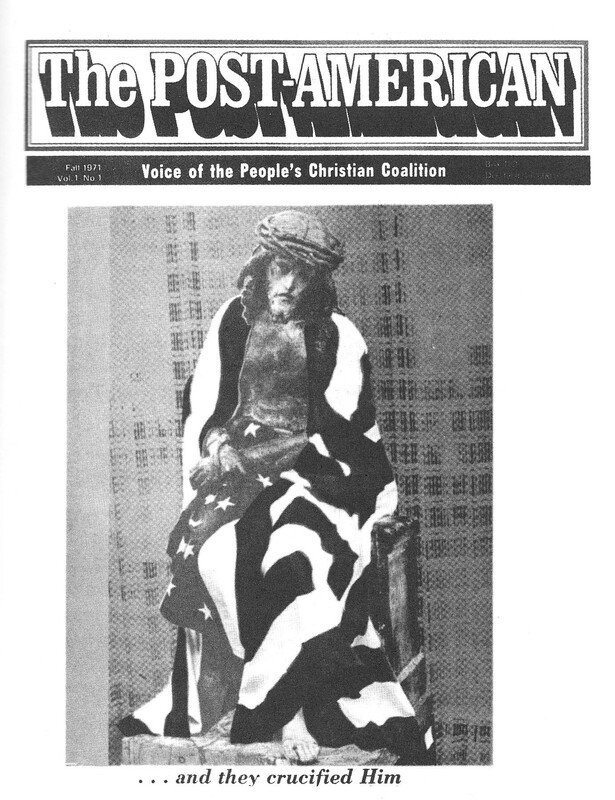 Their first issue featured a statue of Jesus, crowned with thorns and wreathed in an American flag. The symbolism was obvious – America was the new Rome, crucifying Jesus through her policies in Southeast Asia. What the Post Americans (who, in 1975, would move from Chicago to Washington D.C. and rename themselves ‘Sojourners’) accomplished was a melding of the New Left’s ethos and tactics with a distinctly Christian social critique. Although they borrowed language from their secular co-politicists, the Post Americans also drew on their fundamentalist heritage, resurrecting such terms as “demonic” and “satanic” to describe the American power structure. It was a strategy that was dually alienating: the secular New Left was perplexed by and suspicious of a group which described the Nixon administration as a “principality of death” and at the same time maintained that “The church of Jesus Christ is at war with the systems of the world” (65). Likewise, the over-the-top rhetoric of the Post Americans disturbed both mainline and conservative Christians. Rejected by both sides, the evangelical left would eventually find itself in a near-total wilderness during the years of the Reagan administration and the Moral Majority. So what did the world of the evangelical left have to do with Bethel? That’s a question I’ll try to answer in the coming weeks. I doubt that the Post American ethos was particularly prevalent on campus. 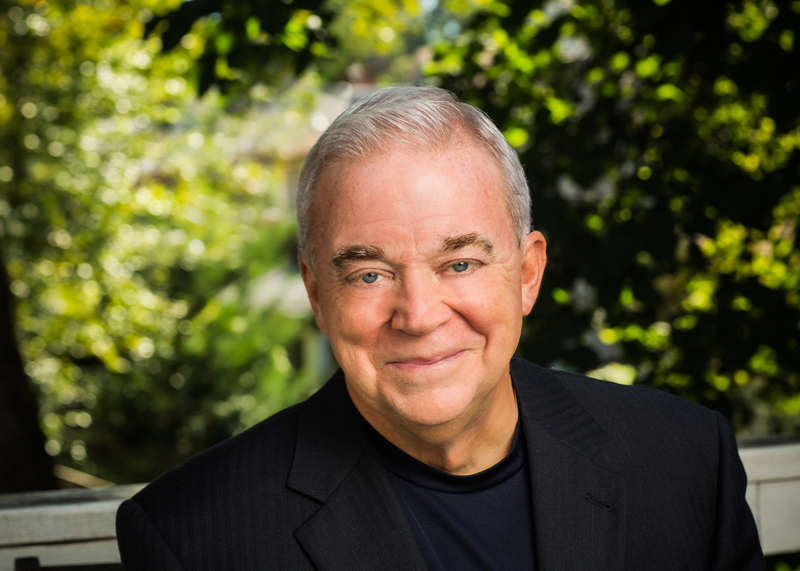 When Jim Wallis launched the Post American journal, he embarked on a multi-state tour, selling the journal out of the trunk of his Ford Falcon. As Swartz describes it, the journey took the Post Americans to “evangelical campuses, major universities, intentional communities, and churches in northern Indiana, lower Michigan, northern Ohio, central and eastern Pennsylvania, and up the East Coast from Washington to Boston” (55-56). Conspicuously absent, of course, is a small evangelical campus in St. Paul, Minnesota. Nevertheless, as I move into primary source research, I’ll be curious to see whether I find traces of Post American rhetoric in Bethel’s campus newspaper, the Clarion (whose 1932-2007 issues are available at the Bethel University Digital Library, and which incidentally, I recently finished cataloging and uploading – but that story is for another post). Congrats, Fletcher. You are and will be a force for good to be reckoned with.